Your membership in SCAA means so much to our community. Show your support for art by becoming a part of the largest and oldest arts group in Cobb County. Membership is very affordable and directly benefits the all-volunteer organization, our local artists, and our community endeavors. 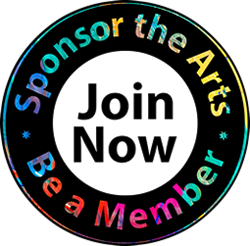 And, your membership provides all kinds of opportunities for you, your friends and your family to experience the arts! • Discounts for SCAA related events, exhibits, performances, classes, workshops. • No entry fee to events such as the annual SCAA Member Show. • Artist level with a directory to post artwork directly on-line. • Opportunities to network with artists, art educators and the community. And please consider becoming a VOLUNTEER. South Cobb Arts Alliance is an all volunteer organization and assistance is needed to help set up exhibits, work with art educators and artists on projects, design graphics, plan events, among other duties.